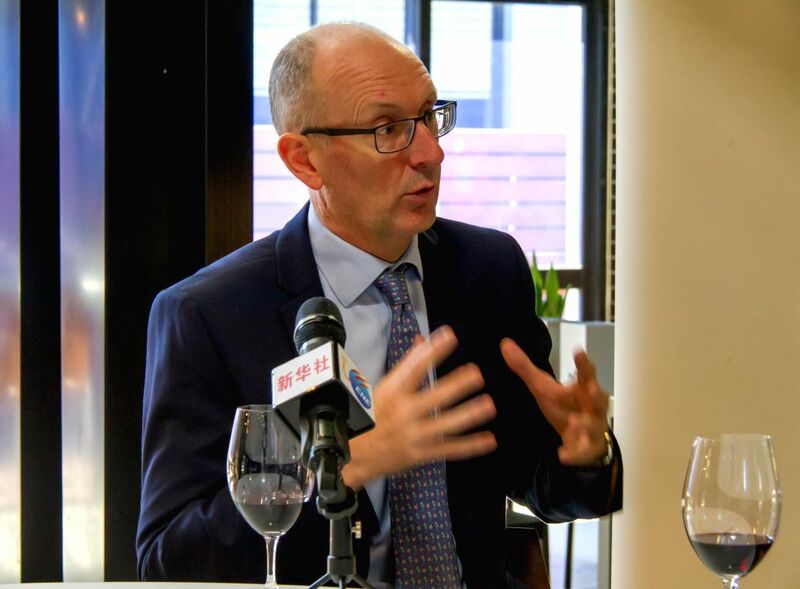 SYDNEY, April 4, 2016 - Managing Director and third generation winemaker from Taylors Wines Mitchell Taylor speaks during an interview with Xinhua in Sydney, Australia, March 24, 2016. Australian wines are becoming increasingly popular overseas, with the Chinese market growing considerably over the past few years. Statistics from Wine Australia show exports to China increased by 66 percent in 2015, to 370 million Australian dollars, with red wine by far the drink of choice. Managing Director and third generation winemaker from Taylors Wines Mitchell Taylor told Xinhua his company had been exporting its wines to China for over 30 years.